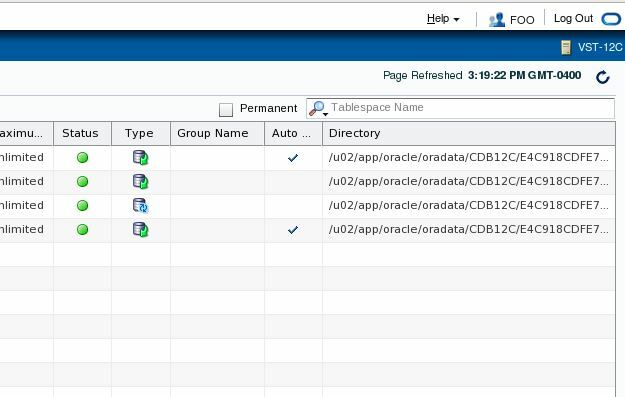 Starting with Oracle 12c, when a database is created, it does not have the database control console, as it used to in Oracle 10g and 11g. Even if you try to upgrade the database with the DB Console in place, you will have to remove it manually or the Upgrade Assistant will remove it. The replacement for the DBConsole is the new GUI EM Express tool. It is a trimmed down version of Enterprise Manager Cloud Control and thus has the advantage of the tight integration with EM control as well. 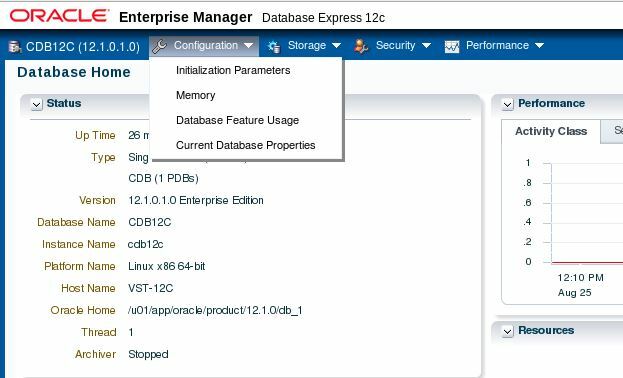 Let’s look at how to manage CDB and PDBs database, using EM Express. 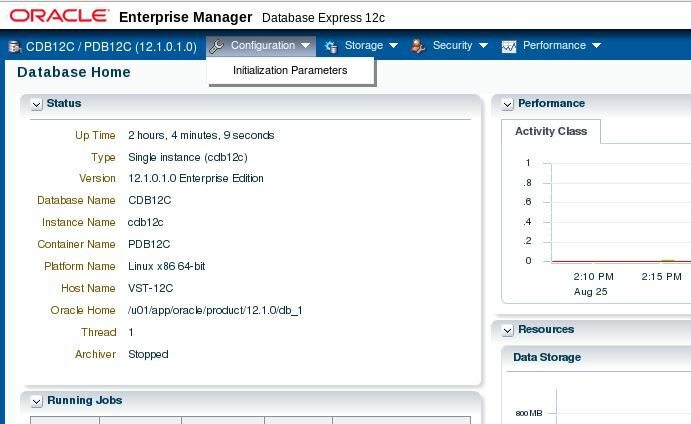 You will have to configure the EM Express for every container in 12c, whether it is a CDB or a PDB. Every container will have its own EM Express URL which can be used to manage the different aspects of the particular database. So the first step is to configure the EM Express for a CDB or PDB. The process is pretty much similar for either the CDB or the PDB. Before you can start to configure the port for the EM Express tool, the following conditions must be met. • Listener should be listening for the database you want to configure EM Express for. • LOCAL_LISTENER parameter must be set to the name of Listener listening for your DB. • Dispatcher parameter is properly set for TCP protocol for the target database. The following is what you should make sure before you go on to configure the port for EM Express. Service "cdb12c" has 2 instance(s). Service "cdb12cXDB" has 1 instance(s). Service "pdb12c" has 1 instance(s). Service "pdb1_clone" has 1 instance(s). We are ready now to configure EM Express for CDB or PDB. First we will do it for our CDB which is CDB12c. The EM Express for CDB12c is now configured and it can now be accessed using the below URL. Next we will do the same for PDB. However this time we will have to use a different port number. Log into the PDB using SYS and issue the following command. The EM Express for PDB named PDB12c is now configured and can be accessed using URL below. You can use the individual URLs to access individual EM Express GUI for each container. The interface will be the same for every container. However options may be different depending on which container you are currently connected to. The EM Express for CDB will have more options and will show information about everything inside the CDB. The EM Express for the individual PDBs will only show information about that specific PDB database. Information about the CDB and other PDBs will not be available however. The name of the container to which you are currently connected to is shown in the upper left hand corner. The image below is the screenshot of a CDB’s EM Express. The image below is that of the EM Express for a PDB. The name in the top left hand corner clearly indicates the container you are currently connected to. Also I have expanded the Configuration tab to show the difference. The Configuration menu in CDB clearly has more options than the menu for the PDB. This is obviously because EM Express for CDB is for managing everything inside CDB including every PDB. While EM Express for PDB is only for that specific PDB. You can grant any user access to EM Express using the two new roles. • EM_EXPRESS_BASIC will allow user to view information inside EM Express. User will not be able to change anything. The role includes SELECT_CATALOG_ROLE role. • EM_EXPRESS_ALL will grant the full read/write access to EM data to any user. The role includes EM_EXPRESS_BASIC role. Example below shows that we created a new user in PDB and granted him the EM_EXPRESS_BASIC role. The top right corner shows the username which you can see is being shown as FOO.